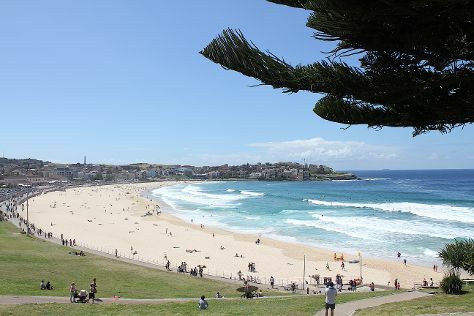 We've included these beaches for you: Bondi Beach and Clovelly. There's still lots to do: enjoy the sand and surf at Manly Beach, take a stroll through Darling Harbour, take in nature's colorful creations at The Royal Botanic Garden, and appreciate the extensive heritage of The Rocks. To find maps, more things to do, traveler tips, and more tourist information, you can read our Sydney trip itinerary builder tool . Mumbai, India to Sydney is an approximately 17.5-hour flight. The time zone difference when traveling from Mumbai to Sydney is 4 hours. Traveling from Mumbai in February, you will find days in Sydney are little chillier (31°C), and nights are about the same (23°C). Finish up your sightseeing early on the 6th (Wed) so you can travel to Eden. On the 7th (Thu), see the interesting displays at Killer Whale Museum, then take a leisurely stroll along The Merimbula Boardwalk, then enjoy the sand and surf at Short Point Recreation Reserve, and finally look for all kinds of wild species at Panboola Wetlands. Get ready for a full day of sightseeing on the 8th (Fri): tour the pleasant surroundings at Cocora Beach, then look for all kinds of wild species at Tathra Beach, and then take in nature's colorful creations at Tathra Memorial Gardens Walk. To find traveler tips, reviews, photos, and tourist information, you can read our Eden road trip website . Getting from Sydney to Eden by combination of flight and bus takes about 4.5 hours. Other options: drive; or do a combination of flight, taxi, and bus. Prepare for slightly colder weather when traveling from Sydney in February: high temperatures in Eden hover around 28°C and lows are around 18°C. Wrap up your sightseeing on the 8th (Fri) early enough to travel to Warrnambool. Warrnambool is a regional centre and former port city on the south-western coast of Victoria, Australia. On the 9th (Sat), contemplate the waterfront views at Bay of Islands, then identify plant and animal life at Tower Hill Wildlife Reserve, then identify plant and animal life at Thunder point Coastal Reserve, and finally get interesting insight from Lake Pertobe Motor Boats. Here are some ideas for day two: see the interesting displays at Flagstaff Hill Maritime Village, stroll through Lake Pertobe Adventure Playground, and then head off the coast to Griffiths Island. To see photos, reviews, maps, and more tourist information, read our Warrnambool road trip site . Traveling by combination of taxi, flight, and train from Eden to Warrnambool takes 7 hours. Alternatively, you can do a combination of bus, flight, and train; or drive. Finish your sightseeing early on the 10th (Sun) to allow enough time to travel to Princetown. 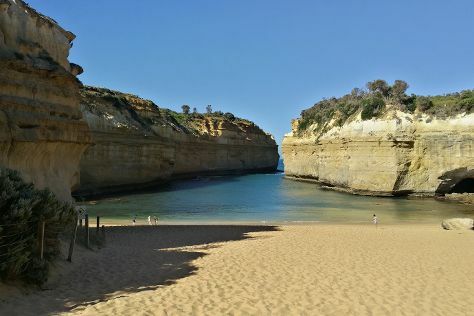 Kick off your visit on the 11th (Mon): revel in the low prices at Apostle Whey Cheese, then look for all kinds of wild species at Gibsons Steps, then take in the dramatic natural features at London Bridge, and finally get great views at Loch Ard Gorge. Plan my trip to Princetown with suggested itineraries provided by Inspirock. You can do a combination of bus and taxi from Warrnambool to Princetown in 1.5 hours. Alternatively, you can drive; or take a bus. Wrap up your sightseeing on the 11th (Mon) early enough to drive to Torquay. Discover out-of-the-way places like Eastern Beach Reserve and Bells Beach. Get out of town with these interesting Torquay side-trips: Lorne (Erskine Falls, Sheoak Falls, & more) and Kennet River Koala Walk (in Kennett River). There's still lots to do: have some family-friendly fun at Supatramp Geelong. To see reviews, more things to do, photos, and more tourist information, read Torquay online trip maker . Traveling by car from Princetown to Torquay takes 2.5 hours. Alternatively, you can do a combination of taxi and train; or take a bus. 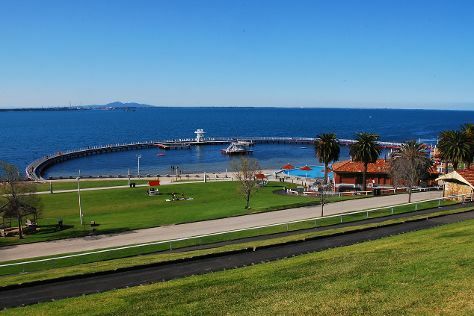 In February in Torquay, expect temperatures between 30°C during the day and 17°C at night. Wrap up your sightseeing on the 14th (Thu) to allow time to drive to Melbourne. 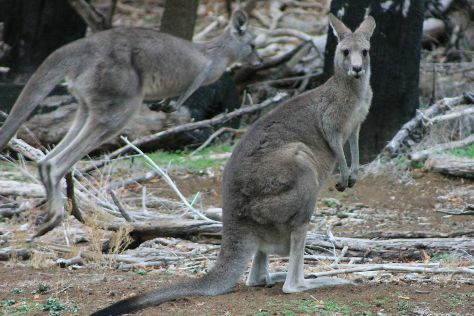 Explore hidden gems such as Ballarat Wildlife Park and Moonlit Sanctuary Wildlife Conservation Park. There's much more to do: take in nature's colorful creations at Royal Botanic Gardens, admire nature's wide array of creatures at Melbourne Zoo, enjoy breathtaking views from Eureka Skydeck 88, and don't miss a visit to Flinders Street Station. To find more things to do, photos, and more tourist information, use the Melbourne trip itinerary planning website . Drive from Torquay to Melbourne in 1.5 hours. Alternatively, you can take a train; or take a bus. In February in Melbourne, expect temperatures between 32°C during the day and 16°C at night. Wrap up your sightseeing by early afternoon on the 18th (Mon) to allow time for travel back home.